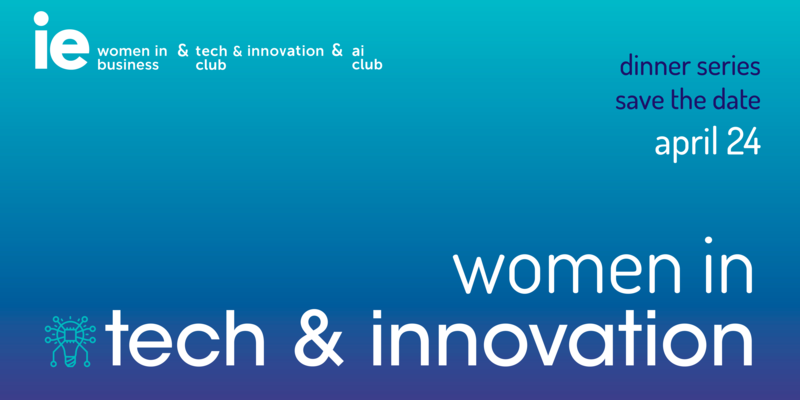 The IE Women in Business Club, along with the IE Tech and Innovation Club and AI Club, invite you to an intimate dinner and discussion with women in tech and innovation. More information coming soon! Blanca is currently Senior VP in Mastercard leading Strategic Relationship with BBVA for Digital Services and Innovation. Her career is focused on the Digital Payments, eCommerce and Push Payments sector; for both, issuing and acquiring sides of the business with international scope. She has held former positions working for Telefonica as Chief Customer Officer (JV Telefonica & Mastercard | Tu Dinero Movil, Peru), Head of Product Design and Customer Care (JV LaCaixa, Santander and Telefonica | Yaap, Spain) and Global Head of Product (JV Telefonica & Mastercard | Wanda, LATAM). She also previously worked as a Manager for PricewaterHouseCoopers Business Consultancy for Telecom & Media sectors. Veronika is a team lead at EY wavespace Artificial Intelligence center, focused primarily on next generation data visualization. She's an alumni of IE University and is currently a professor at IE Data Science Bootcamp. Master´s Degree in Industrial Engineering by Universidad Politécnica de Valencia. Final Project in PM Group, Ireland (Erasmus grant). Purchasing Department in Robert Bosch in Belgium. Postgraduate Diploma in Energy Technology for Sustainable Development by Universidad Politécnica de Valencia. Working for GE since 2011. As a Commercial Manager for GE Energy Management in UK and Ireland from 2011 to 2014. And as Technical Leader in GE Renewables Wind Onshore in Madrid from 2014 to the present. With GE Renewables I have signed Turbine Supply Contracts in 6 countries: UK, Croatia, Sweden, Serbia, Israel and Spain. Shortly Greece. Passionate traveler, I enjoy trekking, scuba diving and photography. I have recently discovered backpacking alone and I love it! Clara is an engineer and IE MBA holder, with more than 10 years’ experience in Business Development roles. She has worked in very diverse industries (automobile, railway, pharma and retail) and countries (Germany, France, Kazakhstan and US). She is currently leading the Personal Care business for Amazon in Spain, company highly commitment in empowering women. She actively participates in initiatives to ensure equal opportunities for women, being Technovation her latest challenge. This project offers girls around the world the opportunity to learn the skills they need to emerge as tech entrepreneurs and leaders.